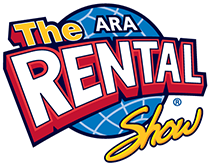 Here’s one for those who not only want to know what’s up and coming in the access and hire equipment industry, but also have a hankering for Southern-style USA hospitality and good times generally – the American Rental Association (ARA) Rental Show in New Orleans, from February 22-25, 2015. In classic US style, the show will be big, with more than 675 exhibitors. Naturally, Genie will be one of them, and amongst the biggest, showcasing a wide range of our latest products, including the new Genie® Z™-62, an articulating boom with a working height of 20.87 m and a horizontal reach of 12.47 m, and the new Genie® Z™-33, a lightweight electric articulating boom with a reach of 12 m, providing quiet, emission-free operation. Also on show will be the Genie® TZ™-34/20 trailer mounted boom, Genie Super Series aerial work platforms, and the Genie® SLC™ Superlift Contractor enabling a single operator to move loads of up to 294 kg. During the show, Genie will be hosting a Customer Appreciation Event at the WWII Museum on Monday 23rd February. If you’re thinking of attending, please contact your regional Genie sales manager for more details.